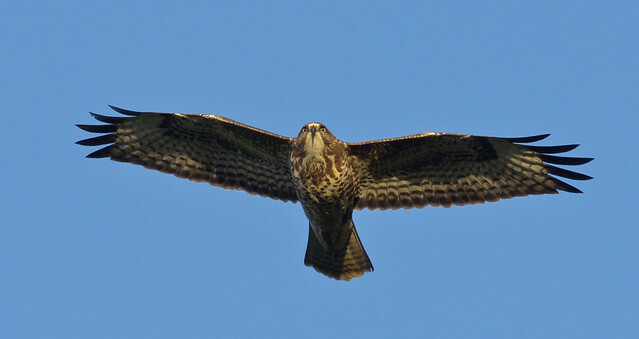 An article in the Guardian today revealed that Natural England granted a license to destroy the nest and eggs if a buzzard, a species protected by law and still recovering from nearly being wiped a few decades ago. And why were they destroyed? To protect some of the millions of non native pheasants that are released into the wild of the UK to be shot. This comes after last years plans to do exactly this were supposedly shelved due to public outcry. Which, it seems, is why they kept this case quiet. What makes this even more ridiculous is a recent study found only 2% or so of pheasant poults were taken by Birds of prey, with about a third killed on the road. So its another nail in the coffin for the UKs wildlife, after badger culls, refusing proper marine nature reserves and trying to stop bee killing neonectids pesticides being banned to name a few. Indeed it seems that this government seem to think they are here to serve the NFU and gamekeeping and not worry about that nuisance wildlife or the science that proves their decisions wrong. I’m starting to think Kenyon and Patterson will be this generations DDT…. If you head over to the Raptor persecution website you can find an email on which voice your dismay to Mr Kenyon and the a link to the Freedom of Information report requested by the RSPB (hats if to them for pursuing this). I think this is a disgrace, my partner who works on the railway found what looked to be like a common buzzard this last Sunday night with a hole shot completely through it and it was then ‘tossed onto the railway. We had thought of reporting it to the RSPB but what’s the point if it has been legalised! as with the badger cull, why don’t the greedy farmers vaccinate their cattle like they do with foot and mouth in Thailand, answer, because they get government hand-outs whereas in Thailand, they cannot afford to lose their cattle. People are the problem, not the wildlife. I’m afraid it won’t be too long before otters will be the next threatened species to be culled – this time in the name of sport fishing.